A false emergency callbox activation and a nursing student stuck with a needle were reported to campus police in recent weeks. OCCC Police Officer Ronald Ventresca responded to a dispatch alert of an emergency callbox activation around 5:23 p.m. on June 23, near parking lot E. Dispatch informed him a male and a female were spotted in the area by security cameras, walking away toward lot F.
According to the report, Ventresca arrived in the location and approached the suspects. He asked why they had activated the callbox. The female admitted activating the emergency line but failed to give a reason for her actions. Ventresca confirmed she was a student, and obtained her student ID to record her information. He said he then explained the seriousness of her actions, and told the female student he planned to file a student misconduct form. A misconduct form was completed on June 24. 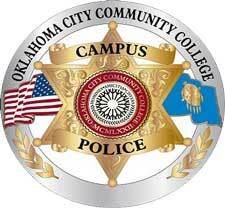 On June 30, an OCCC nursing student visited the OCCC Police Department office and told police that, on June 26, she had accidentally stuck herself with a needle while working at St.Anthony Hospital in Oklahoma City. She said she was curious about her risk to other students. The student said, at around 8:20 a.m. on June 26, she was giving an injection to a patient at the hospital, when she withdrew the needle and accidentally stuck herself in the left thumb. Hospital staff took a baseline blood sample from the subject and a blood sample from the involved patient. It was determined the patient was negative for HIV and hepatitis. The student stated she required no medical treatment other than a bandage. It was determined she was not a risk to any students.